With design houses struggling to attract consumer spending, casting directors are being called upon to rely on multi-girl casts to appeal to the masses. During the supermodel era, big name models like Cindy, Christy, Claudia et al. were capable of enticing consumers to part with their hard earnt dollars with a single flick of their voluminous hair and a come hither stare. With economic uncertainty being rife in the United States and throughout Europe, advertisers are playing it safe with casts consisting primarily of an even mix of established models and the season's hottest newcomers. 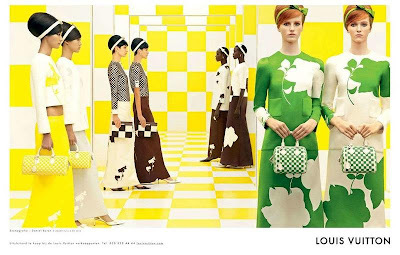 Big name photographers including Mario Testino, Steven Meisel, Inez Van Lamsweerde and Vinoodh Matadin are being singled out to create visuals which reinforce the general aesthetic of design houses and the every day wearability of designer's collections. Perhaps the most telling sign of the effects of globalisation on casting trends is the increasing prevalence of Asian models in cast line-ups. 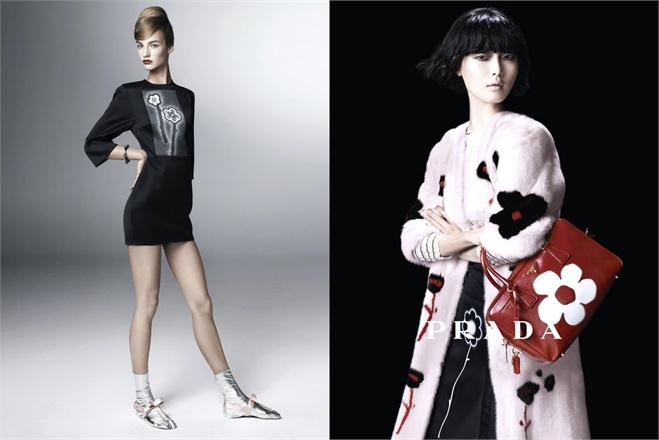 Asian models Sui He, Tian Yi, Sung Hee Kim, Ji Hye Park and Yumi Lambert feature prominently in casts for luxury brands Louis Vuitton, Prada, Chanel, and Roberto Cavalli signalling a clear shift towards Asia to prop up sales.